Superb Condition. 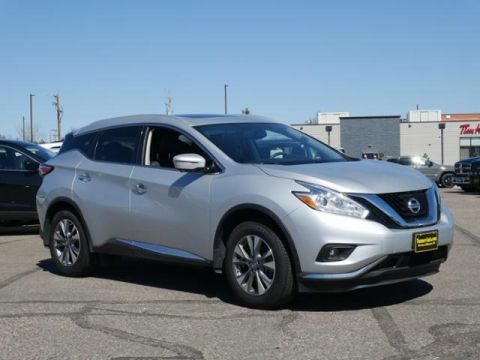 PRICE DROP FROM $23,971, FUEL EFFICIENT 28 MPG Hwy/21 MPG City! Sunroof, Heated Leather Seats, NAV, Back-Up Camera SEE MORE!======EXCELLENT SAFETY FOR YOUR FAMILY: Child Safety Locks, Electronic Stability Control, Brake Assist, 4-Wheel ABS, Tire Pressure Monitoring System, 4-Wheel Disc Brakes Safety equipment includes Child Safety Locks Nissan SL with Brilliant Silver Metallic exterior and Black interior features a V6 Cylinder Engine with 260 HP at 6000 RPM*. ======A GREAT VALUE: Was $23,971. ======VEHICLE FEATURES: Rear Spoiler, MP3 Player, Privacy Glass, Keyless Entry, Remote Trunk Release. ======OPTION PACKAGES: SL TECHNOLOGY PACKAGE Intelligent Cruise Control (ICC), Power Panoramic Moonroof, Predictive Forward Collision Warning (PFCW), Forward Emergency Braking (FEB). Non-Smoker vehicle, Remote Start, Heated Seats, Hands Free System. 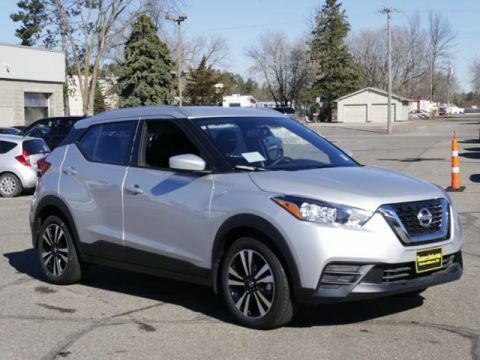 ======VEHICLE REVIEWS: Edmunds.com's review says Spacious and upscale interior, comfortable seats, nice balance of power and fuel economy, pleasant ride.. Great Gas Mileage: 28 MPG Hwy. ======WHY BUY FROM US: At Tanner Companies we offer a broad selection of new and used Chrysler, RAM, Jeep, Dodge, and Nissan Cars, Trucks, and SUVs to Brainerd, Baxter and the surrounding St Cloud, Alexandria, and Little Falls areas. We take pride in the vehicles we sell and strive to succeed in providing an outstanding customer experience. As a leading auto dealership in our community, we are dedicated to providing our customers with great service. Pricing analysis performed on 4/23/2019. Horsepower calculations based on trim engine configuration. Fuel economy calculations based on original manufacturer data for trim engine configuration. Please confirm the accuracy of the included equipment by calling us prior to purchase. Superb Condition. 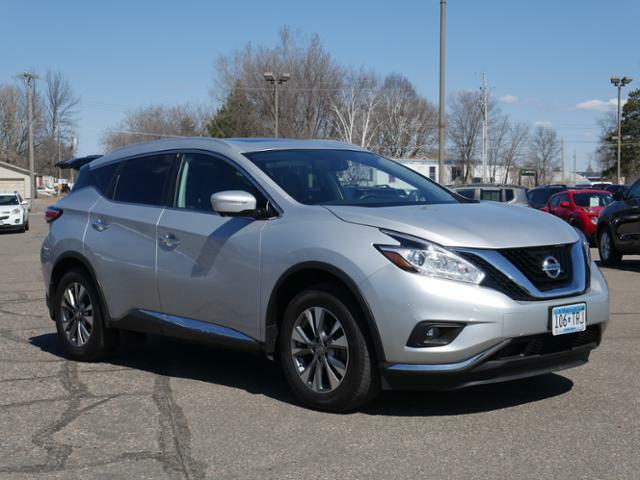 PRICE DROP FROM $23,971, FUEL EFFICIENT 28 MPG Hwy/21 MPG City! 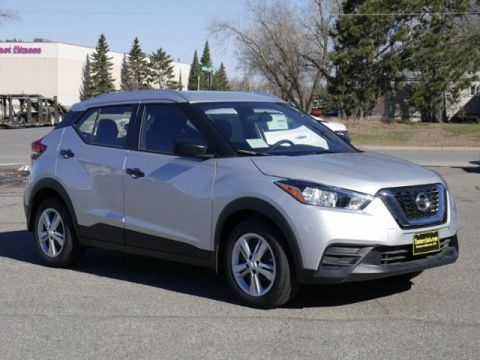 Sunroof, Heated Leather Seats, NAV, Back-Up Camera SEE MORE! EXCELLENT SAFETY FOR YOUR FAMILY: Child Safety Locks, Electronic Stability Control, Brake Assist, 4-Wheel ABS, Tire Pressure Monitoring System, 4-Wheel Disc Brakes Safety equipment includes Child Safety Locks Nissan SL with Brilliant Silver Metallic exterior and Black interior features a V6 Cylinder Engine with 260 HP at 6000 RPM*. A GREAT VALUE: Was $23,971. VEHICLE FEATURES: Rear Spoiler, MP3 Player, Privacy Glass, Keyless Entry, Remote Trunk Release. OPTION PACKAGES: SL TECHNOLOGY PACKAGE Intelligent Cruise Control (ICC), Power Panoramic Moonroof, Predictive Forward Collision Warning (PFCW), Forward Emergency Braking (FEB). Non-Smoker vehicle, Remote Start, Heated Seats, Hands Free System. VEHICLE REVIEWS: Edmunds.com's review says Spacious and upscale interior, comfortable seats, nice balance of power and fuel economy, pleasant ride.. Great Gas Mileage: 28 MPG Hwy. WHY BUY FROM US: At Tanner Companies we offer a broad selection of new and used Chrysler, RAM, Jeep, Dodge, and Nissan Cars, Trucks, and SUVs to Brainerd, Baxter and the surrounding St Cloud, Alexandria, and Little Falls areas. We take pride in the vehicles we sell and strive to succeed in providing an outstanding customer experience. As a leading auto dealership in our community, we are dedicated to providing our customers with great service. Pricing analysis performed on 4/23/2019. Horsepower calculations based on trim engine configuration. Fuel economy calculations based on original manufacturer data for trim engine configuration. Please confirm the accuracy of the included equipment by calling us prior to purchase.